I've been away longer than I'd planned, but I have a good excuse this time. I've been busy getting married. 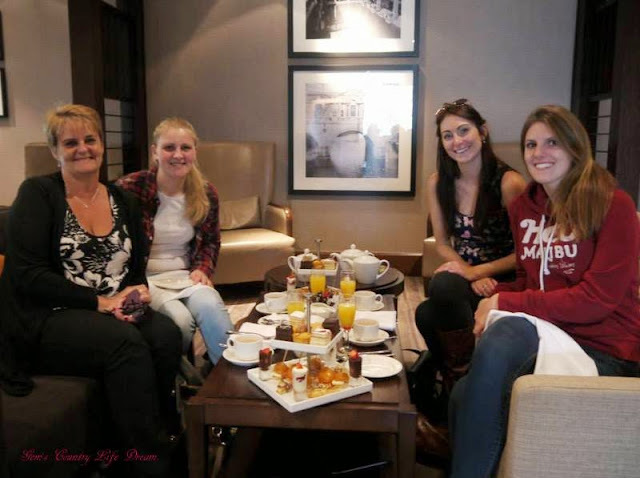 Yes you are now reading the blog of a newly married woman (now I never imagined hearing myself saying that) I will be sharing with you our special day but thought I'd take you back to my hen celebrations first. No need for censoring these posts though ladies, it's not really my kind of scene, sorry to disappoint. I knew I was going away for a weekend with my Mum, but that was all I knew, I had no idea where I was going, I had been given a list of what to pack but had been told that there may well be some red herrings in there so it didn't really give me any clues. You can imagine my surprise when not only my mum turned up to collect me but also my best friend Marie and my brother's girlfriend Rebecca. I'd been given the option of a clue, but I figured they had kept it quiet this long so I'd wait until we arrived at our destination. 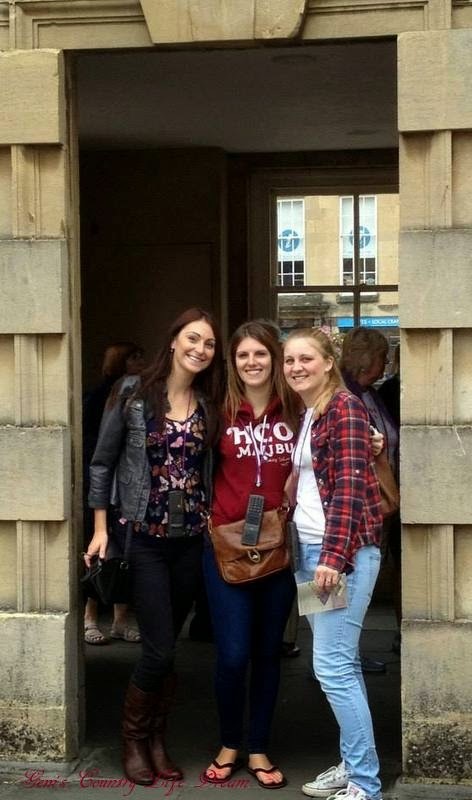 It just goes to show how well they all know me, We ended up in Bath, somewhere I have always wanted to go. We checked into out hotel and headed straight to the thermal spa where we were all booked in for a treatment and an afternoon in the spa. It was lovely and very relaxing. We had a good gossip in the steam rooms and pools before heading off to our treatments, it was lush. The evening ended in a gorgeous restaurant followed by an early night, Very rock 'n' roll haha. The next day was a proper touristy day sightseeing around Bath. We started the day off at the Roman Baths. Such an incredible place, some things in this world never ceases to amaze me. After the baths we stopped for breakfast and then took a leisurely stroll up the the Circus and the Royal Crescent. Mind you I'm not sure I'd fancy living there, I reckon I'd get a bit fed up with all the tourists milling about the place. The weekend was finished off nicely with a high tea back at our hotel. Such a lovely weekend with some lovely ladies. I was spoilt rotten. Many congratulations on your wedding, and what a wonderful surprise trip. I love, love, love Bath, but, like you, wouldn't want to live there. Looking forward to seeing your wedding photos. What a perfect weekend and Bath is somewhere I've always wanted to go. Congratulations! and what a lovely weekend you had with the girls. I actually got married in Bath so have many happy memories!